Are you looking for SEO training institutes in Kochi, Kerala? SEO Professor is one of the leading SEO training centres in Kerala, offering practical training with live projects in SEO and Digital Marketing. With rich experience in digital marketing since the inception of Google, we can offer you the best in class training, that will help you confidently undertake client projects. Alternatively, if you are looking for a job oriented certification course, there is nothing better than our SEO courses. 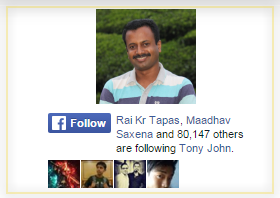 Tony John, our founder & director, is one of the first bloggers from India, who has proved his success in developing and marketing some of the world-class websites. What can be better than learning directly from the team who have proved their mettle? Established in year 2005, SpiderWorks Technologies Pvt Ltd. is a pioneer in SEO services and is one of the leading digital marketing agencies in Ernakulam / Kochi area. SEO Professor is our SEO training division, operating from Kakkanad, Kochi, India. We have been offering SEO training and Digital Marketing courses online and offline through our websites. Our training centre in Kakkanad was established to cater to the local training needs in Ernakulam area and other parts of Kerala. SEO Professor offers ethical and organic Search Engine Optimisation training courses. While many training centres offer training based on their theoretical knowledge, we are teaching through practical experiments and live client projects. We don't have typical classroom training. Instead, our model is to assign you directly to client projects and teach through the real work you perform along with our experienced staff. That will give you the confidence to take up any client projects with confidence. We have been running websites since year 1998 and some of our websites receive millions of page views every month. Our websites never spend money on marketing or advertising. Instead, we invested our time learning how Google and other search engines work. 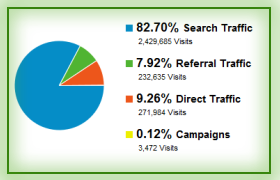 As of June 2012, some of our websites like IndiaStudyChannel.com receive over 7 million page views per month. There is only one secret behind the success - Search Engine Optimization. If you like to learn we rank the websites using SEO strategies, come and join our job SEO courses. If you don't want to work for another company but want to learn SEO and digital marketing to start your own business or do freelancing, our courses can help you build your dream career or business. Learn more about various job opportunities available after completing our training in Search Engine Optimization and Internet Marketing. There are lot of job opportunities after completion of the training. Read more to find out more about the opportunities. Are you interested in a job oriented training program with job assurance? SEOProfessor comes up with a job assurance program after successful completion of training. Who can attend our training courses in Ernakulam? SEO expertise is required for anyone who likes to have an online identity or offer any services through the web. Learn more about our training programs to help you promote your online identity. Looking for SEO training courses in Ernakulam? Learn more about various SEO and internet marketing training courses we offer in our Ernakulam/Kochi training center. Read more to find out about the fees structure for our search engine optimization training in Kochi, India. It is not a business but is a passion for us and our fees structure reflects the same. Tony John launched his first website in 1998, the same year Google was incorporated. It was the beginning of a long journey. He developed several portals and made them popular. Some of his popular websites include indiastudychannel.com, techulator.com, dotnetspider.com, indiatravelblog.com etc. Tony John is offering practical training SEO training & Digital Marketing coaching to a limited number of students in his institute in Kochi The training will be conducted along with an internship program in our office which handles several Digital Marketing projects. So, you will be getting hands-on experience with live client projects.